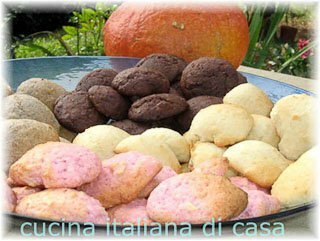 the easy recipe of cookies for All Souls Day and Halloween. 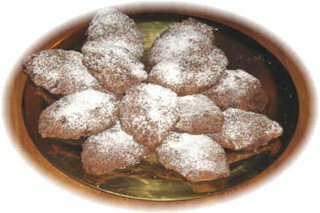 Notes to the recipe: The fave dei morti are a traditional recipe for All Souls Day and, later, Halloween. It is a very old tradition, it seems that it goes back up to the Etrurian age, when people used offer real broad beans to the dead. Time after time the broad beans where replaced by the sweet beans, coloured and larger. 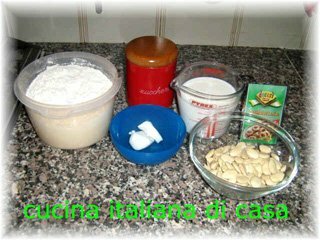 There are a lot of recipes for the Beans of the Dead, we propose the recipe from the town of Faenza, which requires the beans softer and with almonds. 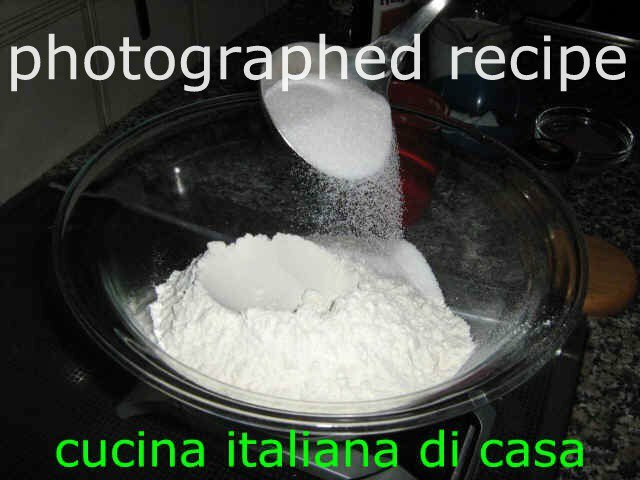 It is a very easy recipe, suitable to be prepared with your kids, which will have fun. By the tradition the cakes should be coloured and with different tastes: we propose the most classic colours: vanilla white, cocoa brown, cinnamon beige, alchermes pink. Should you do not find the alchermes liquor you can use cherry.